NXT’s next TakeOver event is taking place during WrestleMania weekend in New York City. The NXT Universe will bring their A-Game and it could be fans’ last chance to see some of their favorite NXT Superstars before they move to the main roster full-time. During NXT UK’s television tapings, they set a huge match for NXT TakeOver: New York. Ever since WALTER stepped foot in NXT UK he had his eye on the WWE United Kingdom Championship. The biggest problem is that Pete Dunne won’t be letting it go so easily. During the NXT UK television tapings on Saturday, it was announced that WALTER and Pete Dunne will compete in a championship match at NXT TakeOver: New York. This contest could go down as one of the stiffest ever, but it will also be a lot of fun to watch go down. After over 500 days with his title, Pete Dunne won’t give up his WWE UK Title without a huge fight and WALTER just might be the man to bring it to him. 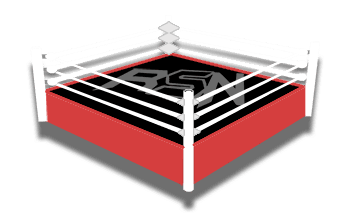 We will keep you updated on any future events here at Ringside News.